Want to Become a Gift Card Reseller? Our Resellers benefit from our products almost as much as our merchant customers! Contact us for details on our robust referral programs. Click on Reseller Inquiry below to find out more. Or, complete the W-9 and Agreement and return to mmiller@enbp.com. Card Marketing Services makes ordering gift cards easy. I just introduce them to my merchants that need cards and they take it from there. CMS works directly with my customers to get artwork in place for the card order and they take care of the billing, so I don’t have to worry about it. The commission checks are great too! My customers also love that CMS can enable gift card sales from their website. 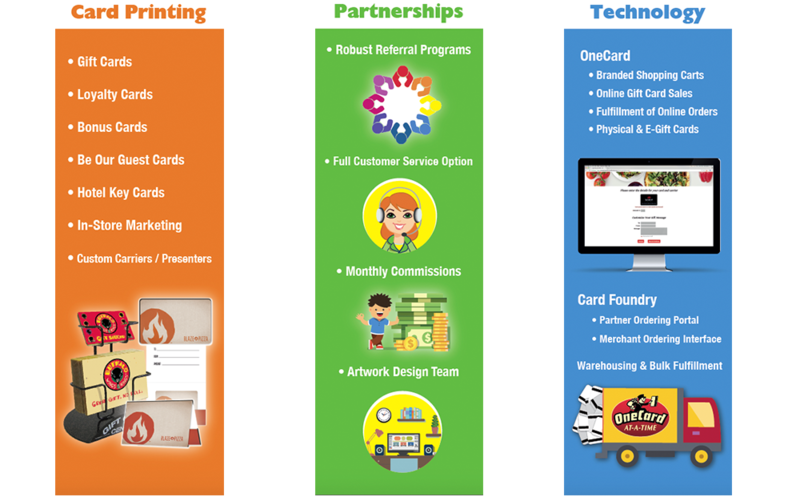 I definitely recommend Card Marketing Services to my merchants and any Focus POS resellers.